All Shingletown homes currently listed for sale in Shingletown as of 04/19/2019 are shown below. You can change the search criteria at any time by pressing the 'Change Search' button below. If you have any questions or you would like more information about any Shingletown homes for sale or other Shingletown real estate, please contact us and one of our knowledgeable Shingletown REALTORS® would be pleased to assist you. 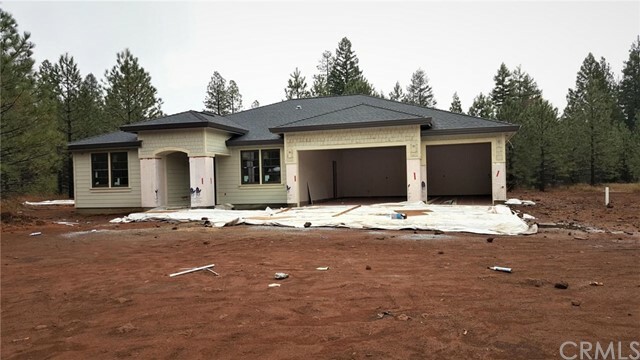 "New stylish quality Palomar home in pristine Mt. Lassen Woods! Gorgeous serene property on acreage with Millseat Creek Frontage! Upscale subdivision with good roads, energy efficient home & high quality construction. Amenities, Quartz counter tops, stylish light and plumbing fixtures, upgraded SS appliances, beautiful cabinerty, gorgeous kitchen, 3 car garage and large RV parking area! CB1005"